Sunday August 19, 2018 - Orange Democratic Movement (ODM) party leaders have finally admitted that President Uhuru Kenyatta is a leader will more balls than National Super Alliance (NASA) leader, Raila Odinga. 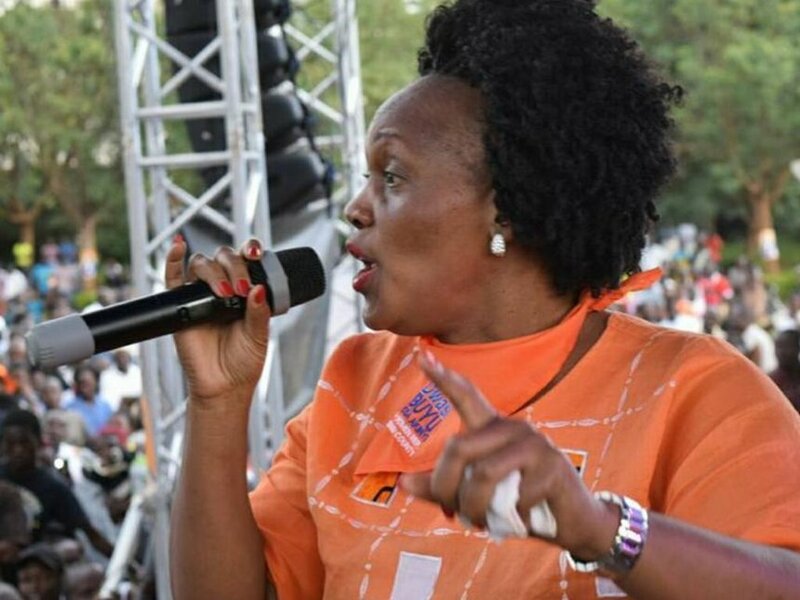 Speaking in Kisumu County during the burial of Mary Auma, mother to Kenya soccer great Denis Oliech on Saturday, the leaders led by Kisumu Women Representative , Rosa Buyu, said since the handshake with Raila Odinga on March 9th this year, Uhuru has demonstrated that he is not a weak leader. Buyu also urged the Son of Jomo not to relent on his spirited fight to reclaim grabbed public land saying he was on the right side of history. For the last few months, Uhuru has demonstrated his leadership qualities by leading a tough war against corruption where senior State officers and politicians have found themselves in the dock for stealing public money.